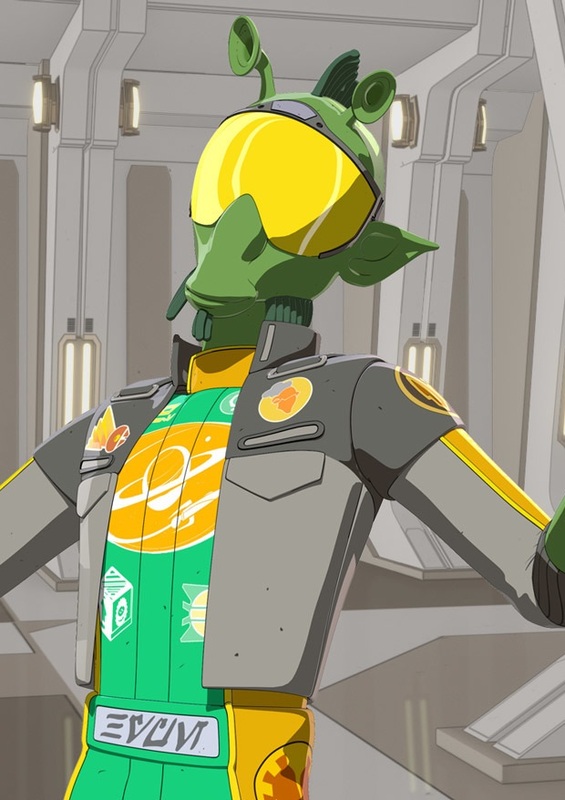 Description: B8G-H0R was an orange humanoid-shaped labor droid with a large gas-burning exhaust vent in its torso. 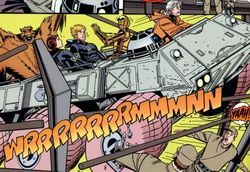 It was forced to work in the criminal Pyke Syndicate's spice mines on the planet Kessel during the reign of the Galactic Empire. 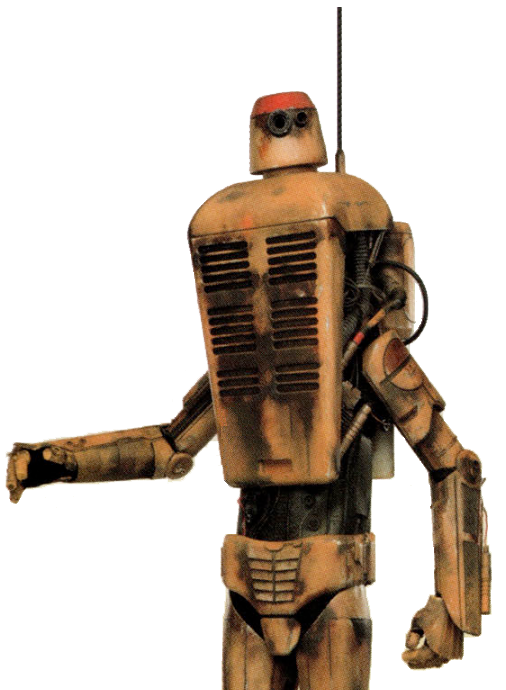 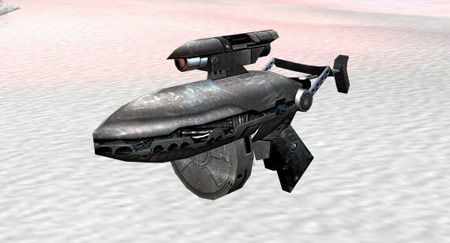 In 10 BBY, B8G-H0R was freed from slavery when its restraining bolt was removed during a slave revolt in the mines started by the droid L3-37.